 HOME> スタークラスBlog > WE ARE GETTING READY!! 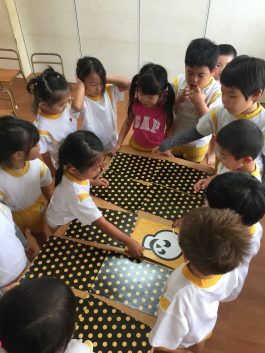 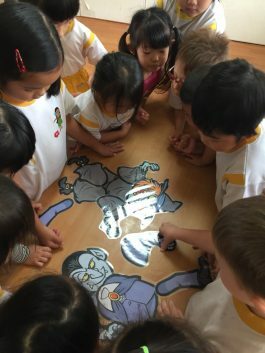 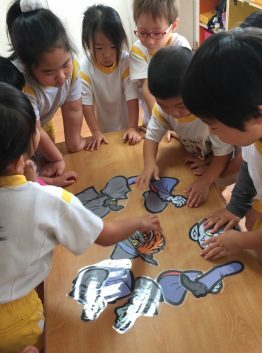 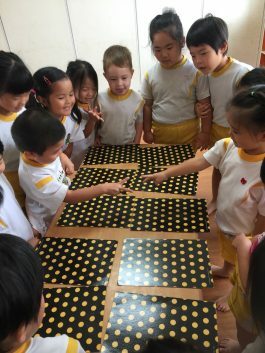 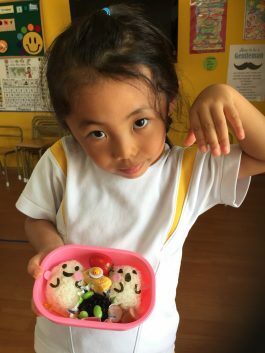 For Halloween in our classroom and our Halloween Party. 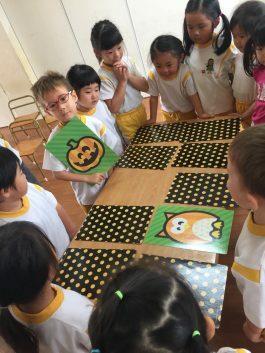 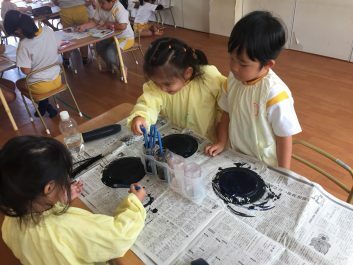 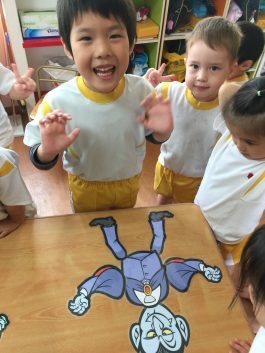 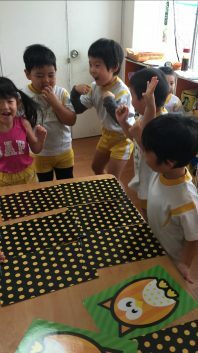 The children are already talking about their costume .Star Class loves learning through play Halloween activities and crafts. 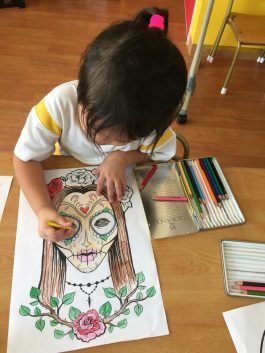 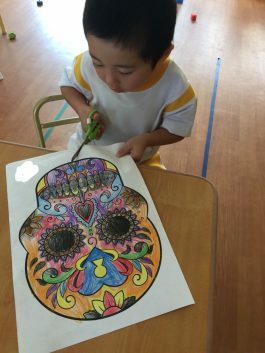 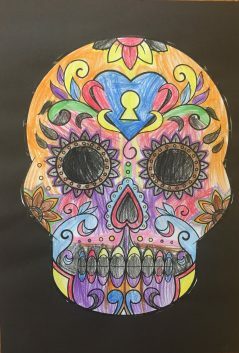 Did a quick and very easy project of CALAVERA (Spanish for ‘Skull”) colouring.Star Kids use their imagination and combination to make the page looks fabulous coloured in lots of bright and cheerful colours.